The simple pleasure of a good old-fashioned mouse is easy to forget, but the Macally Turtle is a great example of how it doesn't need to be fancy to be functional. The simple, symmetrical design with a basic three-button arrangement is eye-catching yet unobtrusive on your desk, and is a decent enough size that it can be used for almost any job – from complex image editing to simple internet browsing. 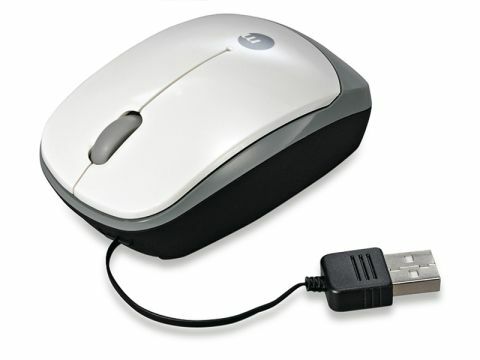 However, don't think this is just your bog-standard mouse, because hidden away in the base is an ingenious, retractable USB cable. Reminiscent of a hoover extension cord, the cable and connector are hidden in a neat little compartment and the cord can be extended to a length of 70cm. It can then be retracted for transport, thanks to a spring-loaded mechanism, and is the kind of simple but useful feature we love. The cable feels a bit flimsy and can curl up when fully extended, but these are minor quibbles. Overall, this is an excellent mouse for your money.